Yes, I did just use a gangster phrase to open a review of Dido, the original queen of ‘The New Boring’. Sometimes these things need a little spicing up. It’s also a rather apt phrase. Dido’s sophomore album, ‘Life For Rent’, is one of the biggest selling UK albums of the last couple of decades, as well as being the fastest selling album by a female artist. Since 2008, Dido’s been quietly working away on new material, shrugging off any critics who diminish her work to the bargain bin of boredom. For me, “I’m listening to the new Dido album” has been met universally with “erm…why?!”. That’s all set to change with ‘Girl Who Got Away’. Dido’s fourth album, it all begins as expected. Sluggish acoustic guitar chords accompany a now infamous vocal on No Freedom, with all the usual falsetto quirks. “No love without freedom, no freedom without love”, she sings in a circular effort to find meaning. It’s a song that blandly washes over you, making little impact. Tellingly, the deluxe edition ends with an acoustic version of Thank You, Dido’s first major hit, bringing things full circle. Well that’s the boring out of the way. From track two onwards, ‘Girl Who Got Away’ takes a turn to the electronic. Produced by older brother Rollo Armstrong, it harks back to the siblings’ joint work as Faithless – to the extent this is almost a chillout Faithless album, with shades of William Orbit. It might be far more upbeat than her last albums, but this is not a dance record; rather it retains Dido’s propensity for honest lyrics and songwriting. Blackbird begins with her lover making coffee (a nod to the stone cold tea of Thank You? ), which leads to a narrative with all the angst of Hunter, this time matched with synths and electronic beats. The upbeat production continues with Love To Blame, pairing a funky bassline with jazz horns, whilst the deluxe edition includes the hip hop All I See with rap from Pete Miser and a remix by Armin Van Buuren of Everything To Lose. End of Night, meanwhile, has a wonderfully nocturnal, ambient feel. The production as a whole has a 90s trance/trip-hop quality that Faithless fans will certainly appreciate, given a new spin with Dido’s mature songwriting. This is as much Rollo’s album as it is Dido’s. That said, ‘Girl Who Got Away’ doesn’t push any boundaries and is unlikely to truly penetrate pop circles like she once did. The track that most stands out is Let Us Move On with Kendrick Lamar. Not only does this parallel Dido’s inclusion on Eminem’s Stan, the track that effectively made her career, but it shows Dido’s willingness to reach a younger audience and adds an edginess to the otherwise polished sound. At the other end of the spectrum is Sitting On The Roof Of The World – “I’d be lying if I didn’t say I miss it now and then, but I have no wish to go back there”. It’s a typically honest lyric from an artist who fell out of favour as swiftly as she rose to fame. 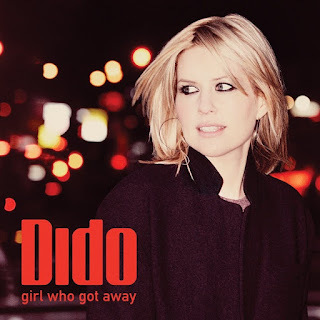 Now out of the public eye, the pressure has been off for Dido and ‘Girl Who Got Away’ is all the better for it. “I’m listening to the new Dido album”. “Oh really? I’ve heard it’s pretty decent”. Listen: 'Girl Who Got Away' is available now.